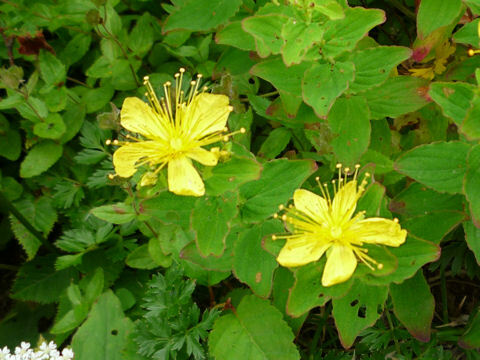 "Hai-otogiri" (Hypericum kamtschaticum) belongs to the Clusiaceae family. 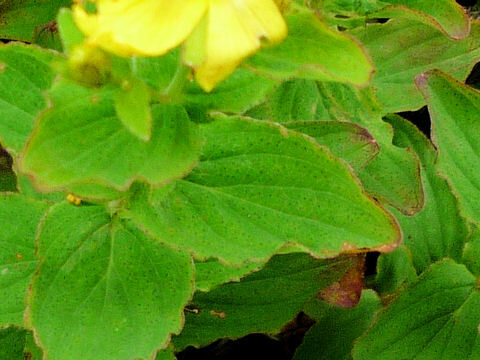 It is a perennial herb that is native to Hokkaido and North East Asia. This herb grows on sub-alpine to alpine screes or grasslands, and can reach 15-50 cm in height. The leaves are ovate, opposite and have black dots mainly on the edges. The yellow flowers, 2.5-3 cm across bloom from July to August. They last one day.